In the early 1300s, Algonquin Indians began settling along the shores of Lake Ontario, near its bays and ponds and in the Genesee Valley. As their civilization grew, and the Seneca joined the Iroquois League, paths through the woods became main thoroughfares. According to local historians, many of the main roads in town, including parts of Ridge Road, Long Pond Road and Dewey Avenue, were constructed along these paths. The first settlers to the area, arriving in the 1790s, were William Hinchey, a Revolutionary War veteran, and James Latta, a merchant seaman. Though no documentation exists, it is believed that the Latta family was heavily involved with the famed “Underground Railroad”. Slaves seeking freedom in Canada were reportedly hidden in Samuel Latta’s warehouse in Charlotte, where they awaited transportation across the Lake. The Town of Greece was incorporated in 1822. It was named after the country of Greece as a show of support for the Greek people who fought for their independence from Turkish rule. The name is also a tribute to this old-world nation – a symbol of intellectual and athletic excellence. The Town of Greece was formed from the northern part of the town of Gates. In 1823, expansion of the Erie Canal resulted in the development of the southern part of town. Mason workers came from Europe to help build the canal and often settled here. Many of these craftsmen built cobblestone homes, some of which still stand today. The history of Greece would not be complete without mentioning Charlotte. 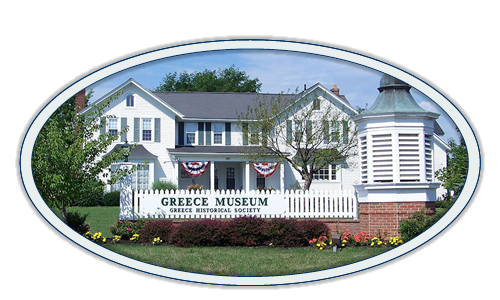 Incorporated as a village within the Town of Greece in 1869, Charlotte was the center of the community for many years. Its quaint lighthouse has been pictured in the town seal since its inception. In 1916, Charlotte was annexed from Greece to become the 23rd Ward of the City of Rochester. In the early 1900s, the Manitou Trolley carried summer vacationers to the many resort hotels along the shore of Lake Ontario. It cost only a nickel to go from Charlotte to Manitou Beach, crossing Braddocks Bay on a wooden trestle. The turn of the century brought about changes which shifted the economic focus from agriculture to industry. Photography magnate George Eastman opened the first Kodak plant in 1891. Kodak became the largest employer in the area, and its success fueled the Town’s growth. Further economic development was also spurred by local grocers: brothers John and Walter Wegman founded Wegmans Food Markets in 1931. Wegmans has been expanding ever since and is recognized as one of the country’s premier grocery operations. The shift from agriculture to industry was also a result of devastating crop losses in 1934. An unusually severe freeze that winter destroyed many orchards. Additionally, World War II brought about the building of more industrial plants to support the war effort. Post-war peace, combined with a swell in population throughout the late 1940s and 1950s, led to even more industrialization and commercialization, especially along Ridge Road. Greece Olympia, the town’s first high school, was built in the 1960s. With the town’s population approaching 75,000 in 1970, many new shopping plazas and churches were formed. Park Ridge Hospital was built in 1975 on Long Pond Road, and the Historical Center opened on English Road in 1978. One of the most important new developments was in 1983 with the extension of the I-390 highway north from Ridge Road to the Lake Ontario Parkway. Another remarkable development was the formation of The Mall at Greece Ridge in 1994. It was formed when Greece Towne Mall and Long Ridge Mall were connected, making it one of the largest shopping malls in the northeastern United States. In 1997, the town government moved to its new location on Vince Tofany Boulevard and the old town hall on Ridge Road was demolished as part of the redevelopment of Ridge Road. The original cupola from the old town hall was saved and is now part of the Greece Historical Center and Museum in the old Larkin-Beattie-Howe house on Long Pond Road. In 2008, a major reconstruction of the West Ridge Road corridor was completed, improving the flow of traffic for over 40,000 vehicles daily. 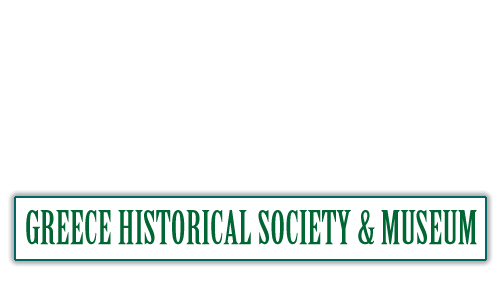 1) Greece Historical Society staff. 2) “Eight Miles Along the Shore” by town historian Virginia Tomkiewicz and historian Shirley Cox Husted (1982). 3) “Greece: Images of America” by Shirley Cox Husted (2001). For more information, please call us at (585) 225-7221.